PACK OF 25 pieces! - 25 Buckles WILL BE Included FOR EACH Quantity Ordered!. 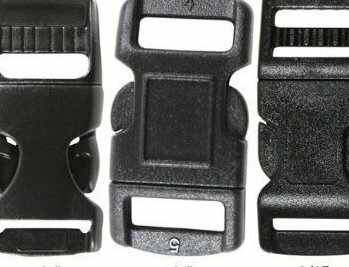 Black plastic buckles. Choose From Sizes: 1/2", 3/8", 5/8". Great to make paracord bracelets!. Curved buckles.